The 21st Century has brought with it a relentless Narcissism Epidemic causing a rise in unhealthy narcissistic traits into our culture. These traits can be found in every strata of society, with a marked shift especially amongst the normal population, and in the numbers of women presenting with narcissistic behaviors. For that reason it is vital that therapists educate and familiarize themselves with all that is involved in narcissistic behaviors so that they can recognize the destruction and long-term consequences of this narcissism epidemic on society at large. 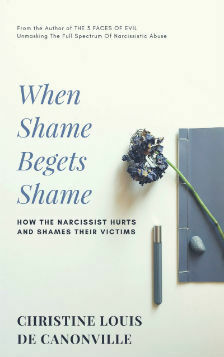 It is also important for therapists to know that this Narcissism Epidemic has given rise to a new syndrome which has been coined “Narcissistic Victim Syndrome.” This form of repeated narcissistic abuse is now being recognized as having long lasting pernicious and traumatic effects on the mental health of the victims. 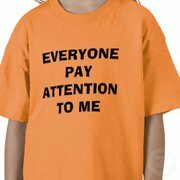 Unfortunately, most therapists have never heard of this syndrome, yet it is coming into the therapy room every day. Through no fault of their own, therapists are ill equipped to recognize or work effectively with these clients, as this training is not taught on Professional Training Courses as yet. Narcissistic Personality Disorder is relatively new on the scene. Since the 1980’s all the research was pointed towards the narcissist themselves, and treatment of these patients meant that they went through psychiatric and Mental Health Services. It is only now that the effects on the victims are being researched. And of course, most victims do not go through the psychiatric system, they are much more likely to enter into a psychotherapeutic process because they have no idea what-so-ever that they are victims of narcissistic abuse. As well as being educated in Narcissistic Victim Syndrome, therapists also must educate themselves in the area of the Narcissism Epidemic Traits, and Narcissistic Personality Disorder. I would consider this vital for working effectively with the victims of narcissistic abuse, without this knowledge you will have no idea of what you are dealing with. Narcissistic Victim Syndrome goes way above the normal range of the abuse therapists are trained to work with. To complicate matters, many of the victims present with Post Traumatic Stress Syndrome (PTSS) symptoms resulting from years of mind control, and coercion. These conditions result from a victims bonding and emotional connection to their narcissistic abuser (The Stockholm Syndrome). These are the same symptoms that are often seen in prisoners of war, hostages, and cult members. Therapists must realize that these victims have lived in an environment that resembles a war zone, and in order to survive the horrendous abuse, they had to learn how to enter into the convoluted dance of the narcissist. This conditioning (like Pavlov’s dogs) is unconscious, tucked well away from conscious awareness, priming them for further re-victimization if not properly addressed. Re-victimization is a phenomenon of this syndrome. There is no need for therapists to panic, already they have many of the attributes necessary for working with this condition, they just need to add to their knowledge by educating themselves in this new syndrome and understand the maladaptive behaviours of the narcissist. In return, they then become educators to the victims so that they can begin to make sense of how this abuse has happened to them. You can help them quit from being victims and become empowered once again. Of course, they will need time and a safe place to grieve for their numerous losses and shame that they have suffered. Room also needs to be made for the expression of any anger that is triggered. As the victim moves through their story, they will have a greater understanding of their own survival behavior, and the intelligence at play behind that behavior. Working in this way will build the clients self-worth, self-esteem, and help them to regain their personal power. Often the victim is perplexed as to how they put up with so much abuse without doing anything about it, what they need to understand is that they did the best they could at the time, which was in reality using their “survival tactics”, no matter how mad it seems to them now. In time they will learn how to protect themselves from being victims, to quit blaming themselves for all that’s wrong in their relationships, to gain a comprehensive knowledge of the Narcissism Epidemic and Narcissistic Disorders so they will never again become re-victimized by another narcissist. If therapists do not complete the process work, they fail their client, because they leave them vulnerable to more re-victimization, not just in their homes, but from other narcissists they come into contact with, for example, friends, and work colleagues, bosses etc. Narcissists spot those victims who know their convoluted dance in an instant, and they become like moths to the flame, which is an irresistible and dangerous attraction that truly excites the narcissist in his hunt for narcissistic supply. NextNARCISSISTIC VICTIM SYNDROME: What the heck is that? NPD has existed since human beings started to exist, it is only now that we started to recognize it as a mental illness and know its mechanisms. To me, Narcissism is the pure evil that we have to fight against. I wish there was a way to isolate these people and cure or neutralize them, for the sake of us all. I am a victim of a narcissistic mother and I found this only after almost 45 years of life, only because someone opened my eyes to it. The damage is huge and the pain is unbearable. This also has many implications for changing policy and laws regarding the definition of abuse. In addition, this should carry a heavy weight when the person diagnosed with Narcissistic Abuse Syndrome finally does get out of an abusive situation, particularly if a divorce is involved with a child, that the professionals, courts, etc. make every effort to protect the victim and his/her children from the abuser.